If you want to sell your home fast (trust me, you want to sell it fast) then it’s imperative that you get as much exposure as possible within a short timeframe. How do we do this? In a nutshell: we use the internet! Years ago, the traditional method of selling homes consisted of just listing your home on an MLS and putting a FOR SALE sign in the front yard. This was fine 15-20 years ago because buyers didn’t have access to homes online. If they were in the market they had to look in the newspaper, drive around looking for homes, and connect with a realtor who was engrained in the local market. But this is not the case anymore. 3 out 4 home buyers do their home shopping online! Unfortunately, MOST real estate agents DON’T have an online marketing plan. Their whole strategy is the MLS and sign in the front yard. Don’t list with these agents! When interviewing, ask them what their online marketing plan consists of. 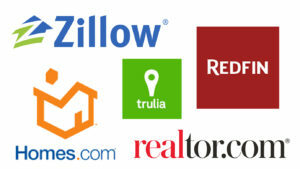 Almost ALL buyers begin their search by looking up properties through one of the online portals in the picture below. Once a buyer is working with a real estate agent, they will continue to browse for homes they may want to go see online. When it comes to internet marketing there are two different types: Pull marketing and Push marketing, and the internet has revolutionized how we do both. Pull marketing is when you capture the attention of someone who is actively looking for a house. One example of this would be the flyers in the box on your yard sign. On the web, this usually means search marketing. Advertising your home on Zillow and other sites that buyers look for homes, and also running search ads for terms that buyers type into Google. The idea is to be where the buyers are. When a buyer searches for a home online they use filters: price range, number of bathrooms and bedrooms, styles, yard, square footage, and other keywords relating to specific neighborhoods or particular features of a home. Basically, they are telling us exactly what they want to find. All we need to do is show it to them. You don’t want to just blast everybody with ads or your home. The truth is, not everyone is looking for a home like yours. We want to design our marketing material to appeal to the people most likely to be interested in a home like yours. Besides the typical features, people also use keywords to search for their home. These could be things like “beachfront,” “near downtown,” “large garage,” and “garden.” Every home has certain things that make it unique, and every buyer is looking for a little something unique. 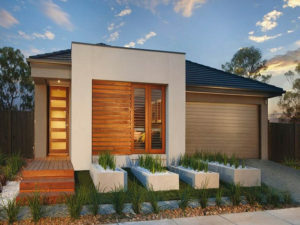 We use keywords in our description to connect the dots and show our unique house to those buyers looking specifically for the thing that makes our house unique. Doing this allows us to make our advertising campaigns exponentially more effective. Push marketing is when we identify who the ideal buyers for your house would be, and then actively pursue them with targeted advertising. While online advertising can be a bit complex, if done right, it is extremely effective. I hate to break it you, but the internet knows EVERYTHING about you, and it is selling that information to advertisers like me. Ever notice how you might check out a product online only to start seeing ads for that product everywhere you go? It’s called targeting and it is one of the best tools we have when reaching as many buyers as possible for your house; and we must reach a lot of buyers in order to get the best price! So, agents that have not mastered online advertising are leaving money on the table. Advertising on social media, particularly Facebook, is incredibly effective at reaching your buyers. 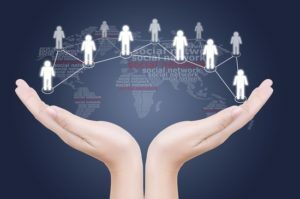 Did you know that Facebook allows you to target people within specific demographics, interests, and even behaviors? For example, imagine your home is listed for $650k, and is across the street from an elementary school. We can design a Just-Listed ad that appeals to new parents and then show it specifically to couples with a certain income (can afford your home), recently had a new child, work nearby, and have expressed through online searches and activity that they are getting ready to move. Reaching potential buyers online is only half the battle. The web has made home shopping very efficient for buyers which means there is a lot of competition out there for their attention. 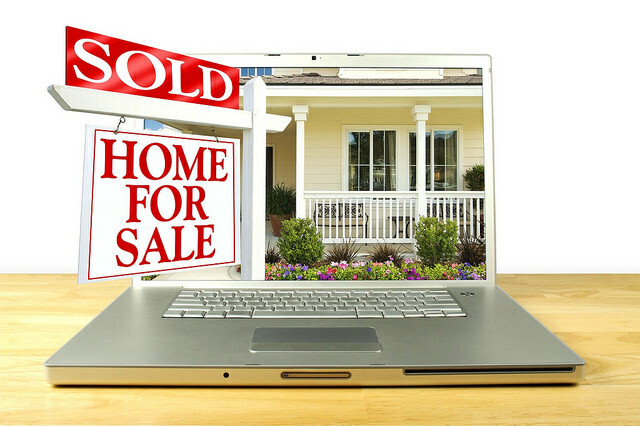 When a buyer comes across your home online you want it to STAND OUT! Think about your own home search. When you come across a listing online that has low resolution/dark/blurry pictures what do you do? Do you grab the microscope and start trying to make sense of them, or do you move on and look at the hundreds of other listings that have decent pictures? There is NO EXCUSE for crappy photos of your house. 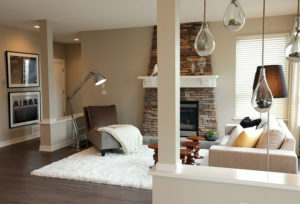 Having awesome photos of your home isn’t just a great idea, it is the standard! You need to have pictures that look great and several of them. If you don’t, buyers will most likely not bother looking any further into your home. It amazes me how many listings I see with crappy pictures that are too dark, sideways, too few, or just don’t adequately capture the size and layout of the place. It could come off as having something to hide, but mostly it just annoys potential buyers and subconsciously they look for a reason to cross your home off of the “Let’s go see it” list. If that happens, you are losing potential offers and ultimately reducing the amount of money your home sells for. It’s not hard to take good pictures, and if an agent can’t (for whatever reason) they should hire a professional to do it. I’ll say it again, there is no excuse for bad pictures. Video has a high level of engagement online. People love to just click on a video and watch it because it’s effortless and fun. In fact, most videos on social media start playing automatically when a user scrolls past them, which helps capture their attention. Video also helps fill in the gaps that photos can’t always capture. Sometimes it’s just hard to show certain layouts in a series of photos. Video can be a great way to walk someone through the house and point out or demonstrate some of the home’s unique qualities. 3D tours are new and HOT… And I just happen to include it as part of my standard listing! These 3D tours are about as immersive as it gets short of physically showing up at your house. A buyer could skip even considering a listing because they didn’t like the first picture they saw, or a certain sentence in the description rubbed them the wrong way. But, If a buyer has the option of experiencing your home in 3D space, they are almost always going to try it. More engagement online, means more people that will come see your home in person. It’s a great way to stand out from the crowd, and a great tool when advertising your home online. “Tour this home in 3D space right from your chair” just screams Click me now! to a prospective buyer. Of course your home will show up on sites like Zillow and Trulia, and on the websites of realtors and brokerages across the state. But if you have a lot to say about your home, or you really want a potential buyers to get immersed in it, it’s a good idea to set up a separate website just for your home. This website is all about showcasing ONE house. You can optimize the website to get visitors to really get immersed in the photos, videos, 3D tour, and the overall unique story that your home has to tell. An effective marketing plan should have a HUGE online component, since that is where most of your buyers are looking. You should interview an agent before hiring them to make sure that they actually have a plan for marketing your home that goes beyond the MLS and For Sale sign (unfortunately, a lot of agents don’t). I consider myself to be an expert real estate marketer for hire. I know how to get the best possible market price for your home through strategic online and offline marketing. You can list with me, or, if you are up to the task you can sell your home yourself and do all of your own marketing. Both are good options, but whatever you do… DO NOT list your house without a solid online marketing plan in place. Posted in Real Estate, selling and tagged how to market a house for sale, how to sell my home fast, is hiring a realtor worth it, online marketing, real estate agents, realtor.com, redfn, sell my house fast, selling my home, trulia, what do realtors do, zillow.